You are here: Home / giveaway / current giveaways / Enter to Win $500 in the $500 April Showers Cash Giveaway! Enter to Win $500 in the $500 April Showers Cash Giveaway! I’m excited. I wore flip flops for the first time this year. WOOHOO! Even though there’s still snow in the hills, the sun was shining and it was over 70 degrees. SPRING IS HERE! Gil and I have been busy raking up pine needles from the lawn. It’s so exciting seeing the peeks of green through the winter brown grass. In celebration of spring, we’re excited to bring you this uber awesome giveaway! 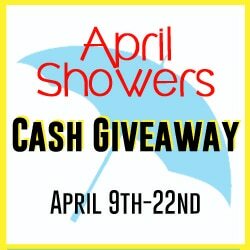 Welcome to the $500 April Showers Cash Giveaway! 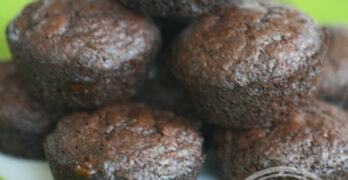 We have joined forces with an amazing group of bloggers to bring you this great giveaway. One lucky person will win $500 cash. Ends at 11:59pm EDT on April 22nd, 2014.